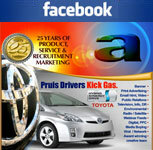 How to choose a web design company – by the Fort Lauderdale web design agency. Choosing a web designer or web development company is a crucial decision, and you must be careful when choosing a company to handle the responsibilities involved with building and developing your professional business website. Each and every day I hear horror stories about how someone hired a designer, they could not handle what they needed them to do and so they disappeared or kept their money. Now that person or company needs to spend the money all over again… they THOUGHT they got a good deal and had no idea what was involved with developing a stable, reliable, custom designed website that would have everything they wanted from branding to integrated marketing and complex functionality for professional business sites. Below are some important things to consider when selecting a website designer or company for your project. Website Designer – helps you to determine the page layout, graphics, text location and colors of your site, as well as the navigation and how pages will cross-link to one another. He may also do the actual computer programming and graphic art work for the site, or may hire out that work to a programming specialist. A Website Designer is the project manager for your site design. Graphic Designer – creates the graphics for the site, including page layout, colors, etc. Think of this person as the “visual artist” for your site. They must be experienced with branding techniques and work to create a custom theme and design to market your web presence. Internet Marketing Consultant – helps you to determine how your website fits into your overall marketing strategy, and how to get more traffic and sales from your website with SEM, SEO, Social Media Marketing and Back linking just to name a few. The marketing of a website is very complex with thousands of unique ways of applying strategies. Web Marketing Specialist – Performs Search Engine optimization, posting, tracking and analysis, social media marketing, creating Blogs and link building campaigns just for starters. A Work Of Art, Inc. has the experience and expertise to provide all of these services plus much more. A Note on Copy writing: You may find a designer who can also help you with the text for your website but don’t count on it. Be prepared to write the text yourself, or hire a professional copy writer. Copy writers charge per page, sometimes up to $500 a page ($5,000 for a 10-page website.) 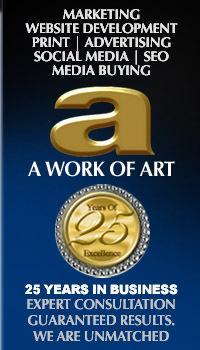 A Work Of art, Inc. in Fort Lauderdale, assists client with copy writing. Consider a hybrid solution: get advice about simple website copy writing principles from an internet marketing consultant, then you write the text. Have the consultant edit the text to make sure that it works on the web. A Work Of Art does all of this for you! Pay attention to how much they ask you about YOUR BUSINESS. They should want to get to know you and your business intimately. How else can they design a site that reflects you and your business, unless they spend time to get to know your company, your industry and your goals? Look at sites they’ve designed to see if you like their style. Is there a certain feel to ALL their sites, are they using cookie cutter templates or do they design custom websites from scratch and are they flexible in their designs?Ask them if they did the actual graphic and layout design of the site, or if they just did the programming. Do they have a structured planning process that leads you through the design phase, and will they document all the discussions and decisions? 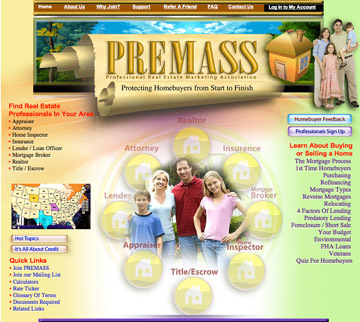 If they have a Website Planning Guide that you’ll work through together, that’s really helpful. Ask them what they know about internet marketing and search engine optimization. Are they experienced with Social Media Marketing? How much time a month do they spend marketing your website? Is it done manually or do they take the least effective route by using automated software. Be sure that they’re creating a site for you that meets your larger marketing and business goals. (A pretty site is no good to you unless it generates revenue and prospects. Ask the designer for their fees and what is the estimated cost for the site you want. They may not be able to give you a good estimate until you discuss content and features of the site. Expect to pay between $60 – $125 an hour, depending on their skill and their location. A quality website with good graphic design and layout that is optimized and includes branding will cost around $2,500 – $3,500 for a 10-page site. 95% of companies do not have the knowledge to employ all of these and use templates and automation and only charge $50 – $100 a page. This is not what a successful company needs. Go cheap and you WILL regret it. If you add a blog, newsletter, shopping cart, autoresponders, email address setup, SEO, membership site, or logo design (or if you have more than 10 pages), expect the price to be higher. Ask them how they bill you. Will they invoice you monthly, or when certain milestones are reached? Do you have to make deposits? Do they stick to their initial quote? Do they charge for every little task and change? We provide ONE quote, provide unlimited proofs and do what it takes to make sure our clients are happy… and we Stick to the quoted price! Usually if they charge for changes and more proofs they are not confident in their abilities. Pay attention to whether they’ll try to stick within your budget, or whether they keep suggesting new add-ons that increase to the cost of your site. Remember, designers aren’t responsible for your budget! Talk to some of their current and recent clients, to see how smooth the process was. You want someone who has good project management skills AND good communication skills. They have to listen to you, not just give advice. Ask them whether they will maintain your site after the initial design, and how much they’ll charge for that. Some designers want to create new sites but don’t want to maintain them. If they have been in business only a couple years they may not even be around to maintain it… we get that comment a lot from prospective clients who complain about their previous web designer. Someone like a virtual assistant (VA) may be able to maintain your site for a lower hourly fee, as long as the VA is skilled in website programming, but know you have to hire TWO companies and that is not what you want. The more bells and whistles and complicated programming in your site, the less likely that an average VA will be able to maintain it for you. Make sure you own your domain name, even if the website designer registered it for you. Get your hosting username and password and make sure you have admin privileges. You have got to enjoy talking and working with them. Do you LIKE the designer? Do you believe they’ll act ethically? Do you enjoy speaking with them? Do they stay focused to the task at hand, or do they ramble and waste your time? Do you feel you “click” with their personality and values? Do they offer you invaluable insight and advice about your site design? Tell each prospective website designer what your deadline is and ask if they can meet it. If you don’t have a specific deadline, brainstorm with the designer to create a good working deadline that you can both meet, especially if you will be doing the job of writing the website text.